Before the Internet was shaken by the news of Red Hat‘s purchase by IBM, it was the deal between Microsoft and GitHub getting all of the attention.Alongside its $26.2 billion acquisition of LinkedIn, Microsoft also completed its $7.5 billion acquisition of GitHub, which is known as a leading software development platform. GitHub is a popular developer resource used for collaborating on code repositories with the benefit of version control. Many big tech companies use GitHub, including Apple, Amazon, Google, and Microsoft, with the latter first announcing its agreement to acquire GitHub in June of 2018. In October, Microsoft confirmed that this big acquisition was complete. GitHub is now officially run by Nat Friedman, former CEO of Xamarin (acquired by Microsoft in 2016). He reports directly to Scott Guthrie, Microsoft’s Cloud + AI Group Executive VP. “We are not buying GitHub to turn it into Microsoft,” Friedman said. “This means that GitHub will retain its developer-first values, distinctive spirit, and open extensibility. We will always support developers in their choice of any language, license, tool, platform, or cloud,” he added. In a Nov. 8th filing, Microsoft stated that the $7.5 billion purchase was “inclusive of cash payments of $1.3 billion in respect of vested GitHub equity awards and an indemnity escrow,” meaning that Microsoft has already made $1.3 billion in cash payments for this GitHub deal. The announcement created mixed reactions. 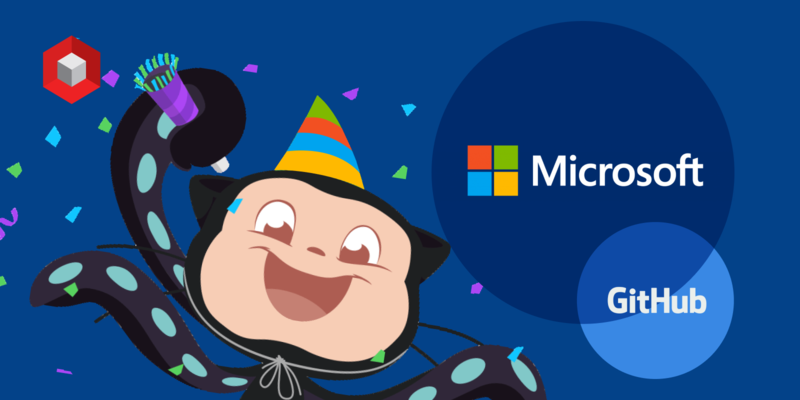 Some developers saw GitHub’s acquisition as Microsoft further embracing open source, while others feared the possibility of being bombarded by the Microsoft corporate marketing machine. In fact, many of these developers had already switched to GitHub competitors like GitLab. Despite some loss of support, overall GitHub is stronger than ever as is evident by their announcement that it now has 31 million developers using the platform – an increase of 3 million since June. Obviously, these new users recognize Microsoft’s ability to improve an already great service. “Microsoft has a strong history in creating great developer tools; acquiring GitHub could be their approach to bring that expertise online. With Microsoft’s focus towards open source, I’m positive, but also realize that it takes time for such a cultural change to reach every part of the company; old habits die hard, so time will tell.”, says Sebastiaan van Stijn, an engineer at Docker and maintainer of Moby. “Microsoft has a strong history in creating great developer tools; acquiring GitHub could be their approach to bring that expertise online. With Microsoft’s focus towards open source, I’m positive, but also realize that it takes time for such a cultural change to reach every part of the company; old habits die hard, so time will tell,” said Sebastiaan van Stijn, an engineer at Docker and maintainer of Moby. If you want to keep up with the latest news, subscribe to our blogs! next: Can We Use G Suite with Office 365?